Once the work is completed, getting paid quickly and easily is important to keep your business cash flow positive. E-invoicing is the simplest way to send your customers or clients a digital invoice, which you can now issue directly from your smartphone or tablet within Square Point of Sale. Better known as an electronic invoice, an e-invoice is a method used between business owners and their customers or suppliers to send transactional information that ensures trading agreements are being met, and prompt payment can be made. Free to use — Send unlimited e-invoices from Square Point of Sale for free. Save time — Create and send invoices quickly while you’re on-the-go. Save time issuing and chasing invoices after you’ve finished a busy work day. Get paid faster — On average, e-invoices sent with Square are paid in less than three business days, meaning cash is in your bank faster. Convenient for customers — Customers can pay quickly and securely online with their credit or debit card, which is faster than processing a manual deposit. Simple to manage — Track and sort your invoices by paid, unpaid, overdue, sent, or drafted, right from your smartphone or tablet. Send reminders — Sometimes customers can forget to pay. Send a polite reminder requesting a payment. Let customers pay later — Bill trusted, regular customers for in-person payments when they don’t have their credit or debit card handy. Search features — Search for a specific e-invoice by entering a customer’s name directly into the search bar. Integrate your accounting — Connect Square with accounting software such as Xero or QuickBooks Online to streamline your bookkeeping. 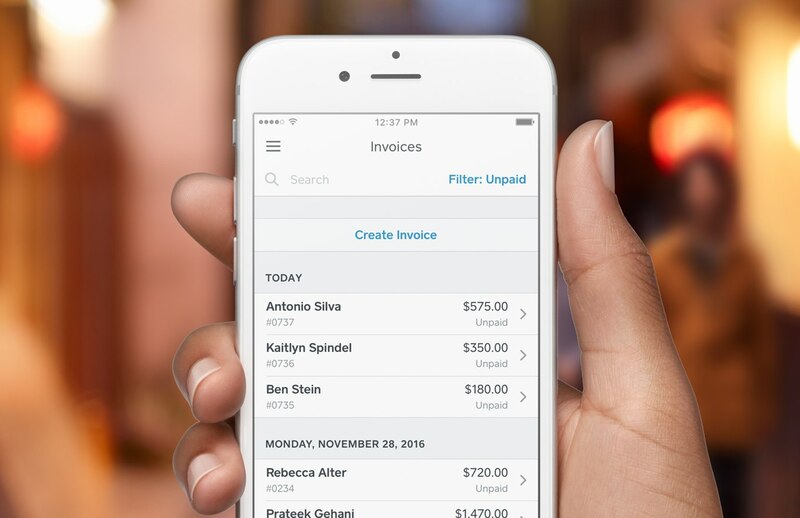 No fees for your customers — Square Invoices are very affordable. Send unlimited invoices for free, and pay only 2.2 percent per invoice paid online. Your customers are never charged a fee to pay. Square’s e-invoicing features are now conveniently located inside the free Square Point of Sale app. Send unlimited e-invoices for free from anywhere, anytime. Download Square’s free Point of Sale app, which lets you accept card payments and send e-invoices right from your smartphone or tablet. If you want to send this invoice at a later date, tap the Send option and schedule a future send date.